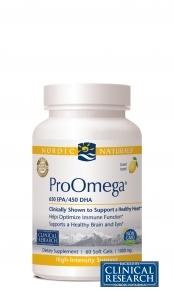 Seacoast is proud to offer Pro Omega by Nordic Naturals in an even larger size. Each serving provides 70% Omega-3 fatty acids and super-concentrated forms of EPA and DHA. Nordic Naturals adds natural delicious lemon flavoring to reduce the chances of any "fishy" after taste. Nordic Naturals Fish Oil surpasses International Pharmaceutical Standards with it's Award winning Purity Standards. Nordic Naturals sources all of it's fish from waters that are certified sustainable by FOS (Friends of the Sea). 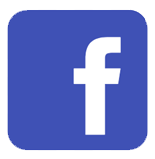 FOS is an Internationally recognized, non profit organization whose mission is to preserve the global marine habitat. Nordic Naturals' fish oils surpass pharmaceutical expectations for purity and freshness. In addition, this product is third-party tested ensuring the absence of potentially damaging heavy metals, PCBs, and dioxins. Fish oils have been shown to have a multitude of health benefits. Note: Same as Ultimate Omega by Nordic Naturals. ProOmega is the professional line available through doctors offices and Secoast Vitamins. Pharmaceutical grade and delivered fresh weekly. Suggested use: Two softgels daily, with food, or as directed by your healthcare professional. 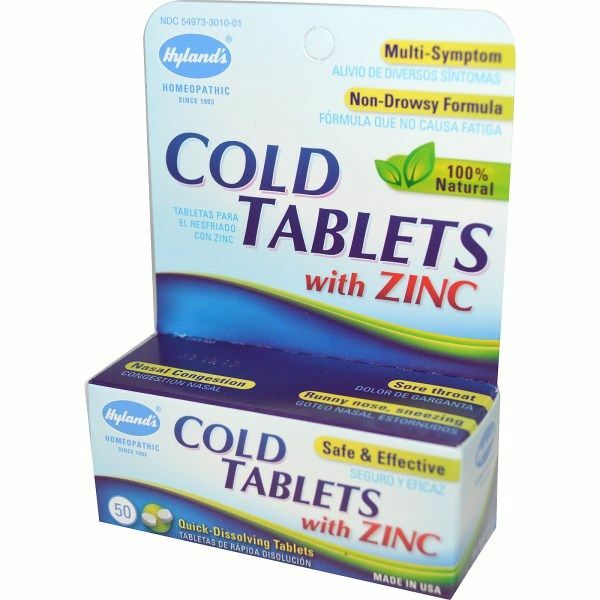 For intense support, take two softgels with food twice daily. Contains no gluten, milk, derivatives, or artificial colors or flavors. After researching many different brands of fish oil products I purchased the Nordic Naturals Brand because it is molecularly distilled and high potency. I have been taking this now for over 9 months. It has improved my vision, relieved inflammation and pain in my hands and feet, and also reduced my cholesterol levels. I feel so much better since taking this supplement. I tell everyone about this product. helps me to see better (my eyes are deteriorating) and also helps my HDL and LDL and overall cholesterol. Helps me to see better (my eyes are deteriorating) and also helps my HDL and LDL and overall cholesterol. 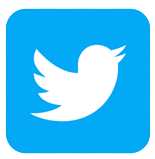 Overall, is an excellent product. I went to the eye doctor and was diagnosed with "dry eye". 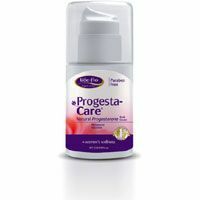 He suggested I use ProOmega from Nordic Naturals Fish Oil to help improve my condition. He told me it is all natural and pure. It does not contain mercury like most other fish oils on the market. Then I found out all the other great things it will do for me - lower cholesterol and improve brain and heart function. I find the ProOmega helps my eyes. I had trouble reading for any length of time and after taking ProOmega I could read much easier and for longer periods. this fish oil seems better than other fish oils I've tried at helping my eye problems. 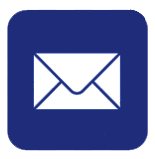 i've had retina tears and other eye problems and have trouble reading for lengthy periods. ProOmega seems to help. Purchased this product from seacostvitamins after having used it for years and always helped me reduce triglycerides level to 100-150. Highly concentrated and among the purest in the market. Seems to help my eyes. Overall a good product. Recommended by me eye doctor. This is the only Omega 3 fish oil product that does not cause burp-back!! I've tried brands that are less expensive but you really do get what you pay for in this instance. I love Nordic Naturals!!! This product is far superior to all other Omega 3's I checked out. Higher dosage in just 1 capsule. ProOmega is part of my daily routine and makes me feel younger and appreciate life. Question: What the benefits of taking this product? Will it help with heart disease? A: ProOmega contains EPA and DHA, the two main components of Omega-3 from fish oil. Essential fatty acids are converted in the body to Prostaglandin and other chemicals used to promote everyday processes and cell metabolim in our bodies. We need these to provide energy and maintain a healthy heart, brain, and circulatory system. Question: Does ProOmega have a fishy after taste? I've tried many fish oils and they all give me a fishy after taste. I am not a fan of fish but would like the benefits it has to offer. 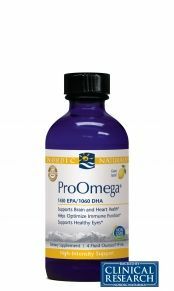 A: Nordic Naturals ProOmega is the #1 selling Fish Oil in the US. The key factor to a good " burp free" fish oil is the freshness of the fish oil. 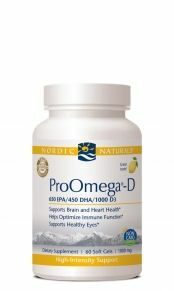 Nordic Naturals begins with wild caught fish that are toxin free and high in omega-3 fatty acids. These wild caught fish are from some of the cleanest waters in the world. Nordic Naturals oxygen-free manufacturing process maintains the freshness and purity with peroxide values (indicators of freshness) well below the European pharmacopia levels. The lower the peroxide level, the fresher the fish oil. Nordic Naturals fish are wild caught and sustainably sourced. Nordic Naturals is a pharmaceutical grade fish oil and surpasses International pharmaceutical quality standards. 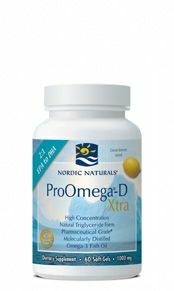 Nordic Naturals adheres to and exceeds stringent testing showing no trace of heavy metals, dioxins, PCBs and toxins in their fish oils. Nordic Naturals is celebrating 20 years of excellence making them the leaders in fish oil supplements. Question: Should I store my ProOmega fish oil in the freezer to keep it fresher? A: Nordic Naturals suggests not freezing their fish oils. Liquid or softgel fish oils may be refrigerated or stored at room temperatures that do not reach above 85 degrees. Nordic Natural fish oils have at least a 2 year shelf life and Seacoast receives monthly shipments of fresh product.